"What a fabulous evening we had aboard the Eastern Star!" "Fantastic! We couldn’t be more pleased. " "We had the best time. The boat was amazing!" "Thank you for making the most important day of the rest of our lives truly special!" "A gourmet wining and dining mini-vacation!" "An amazing night! ... everything was just so special!" "The night was magical. I can't imagine that you get anything but compliments!" "The most successful event I've ever thrown!" 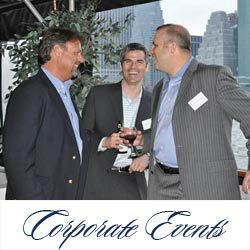 If you are looking for a unique way to host a corporate event and entertain clients, celebrate a wedding, or a rehearsal dinner, plan a surprise party, sweet sixteen or a Bar/Bat Mitzvah, then a private yacht cruise on Long Island Sound aboard the private yacht charter Eastern Star – the perfect choice for your LI cruise! Eastern Star offers three to four hour private luxury yacht charters departing Long Island’s north shore including Huntington, Glen Cove, Port Jefferson, Westchester, Sag Harbor and East Hampton and also services Connecticut including Greenwich, Stamford and Norwalk. You can expect a once in a lifetime experience when you book your luxury yacht charter on the Long Island Sound. Motor Yacht Eastern Star offers elegant accommodations on her main deck, with contemporary furnishings, rich mahogany and brass details. Her fully carpeted upper dining deck includes lounge areas, an additional mahogany bar, palm trees, ambient lighting and state of the art sound system. Elegant menus, prepared onboard using the freshest ingredients are beautifully presented by her executive chef. Enjoy a casual brunch or lunch while cruising along Long Island’s picturesque Gold Coast. 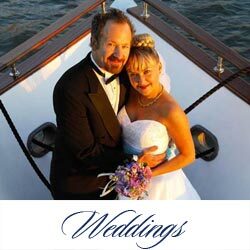 Or a cocktail reception, bountiful buffet or a formal sit down dinner or watching the sunset over Long Island Sound during a private evening cruise. 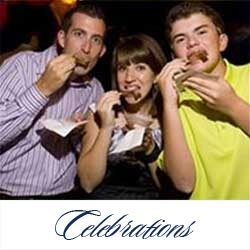 Eastern Stars’ event coordinator can assist you with the many details of your cruise. 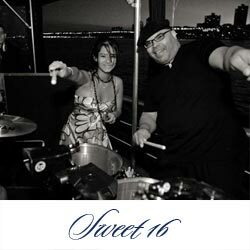 Live entertainment, DJ services, tour guides, floral arrangements, specialty linens and custom invitations are just a few of the many options available to enhance your function. Eastern Star yacht charters have been operating for over fifteen seasons and has recognized by the New York Times, Good Morning America, the BBC Worldwide, Wine Enthusiast and Power & Motor Yacht Magazines. Quality and excellence is what we continue to strive for with each charter. We hope to have you aboard Eastern Star Yacht Charters for your next event, private party, or wedding, and look forward to assisting you with planning a most enjoyable Long Island cruise!